tarteist™ tip: This contour palette is magnetic! Just POP out the pans & DROP them into the tarteist™ PRO custom magnetic palette for your own unique mix. blush Ingredients: Talc, mica, silica, ethylhexyl palmitate, zinc stearate, boron nitride, sodium dehydroacetate, caprylyl glycol, phenoxyethanol, vanillin, caprylic/capric triglyceride, hexylene glycol, vanilla planifolia fruit extract, kaolin, carmine (CI 75470), manganese violet (CI 77742), iron oxides (CI 77491, CI 77492, CI 77499), titanium dioxide (CI 77891), ultramarines (CI 77007). 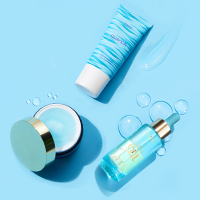 highlight Ingredients: Mica, caprylic/capric triglyceride, talc, polyethylene, calcium aluminum borosilicate, silica, sodium dehydroacetate, caprylyl glycol, phenoxyethanol, vanillin, hexylene glycol, tin oxide, vanilla planifolia fruit extract, kaolin, carmine (CI 75470), titanium dioxide (CI 77891), iron oxides (CI 77491, CI 77492, CI 77499). 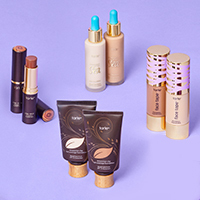 matte contour Ingredients: Mica, silica, caprylic/capric triglyceride, talc, polyethylene, sodium dehydroacetate, caprylyl glycol, phenoxyethanol, vanillin, hexylene glycol, vanilla planifolia fruit extract, kaolin, iron oxides (CI 77491, CI 77492, CI 77499), manganese violet (CI 77742). bronze Ingredients: Talc, mica, caprylic/capric triglyceride, polyethylene, sodium dehydroacetate, caprylyl glycol, phenoxyethanol, vanillin, hexylene glycol, tin oxide, vanilla planifolia fruit extract, kaolin, silica, carmine (CI 75470), titanium dioxide (CI 77891), manganese violet (CI 77742), iron oxides (CI 77491, CI 77492, CI 77499). 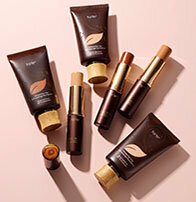 deep bronze Ingredients: Talc, mica, caprylic/capric triglyceride, polyethylene, sodium dehydroacetate, caprylyl glycol, phenoxyethanol, vanillin, hexylene glycol, tin oxide, vanilla planifolia fruit extract, kaolin, silica, carmine (CI 75470), titanium dioxide (CI 77891), iron oxides (CI 77491, CI 77492, CI 77499), manganese violet (CI 77742). 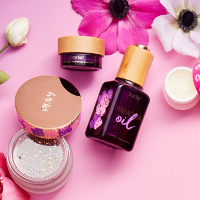 glow Ingredients: Mica, talc, caprylic/capric triglyceride, polyethylene, sodium dehydroacetate, caprylyl glycol, phenoxyethanol, vanillin, hexylene glycol, vanilla planifolia fruit extract, kaolin, silica, titanium dioxide (CI 77891), iron oxides (CI 77491, CI 77492, CI 77499). Love this palette! So versatile and smells amazing. Great year-round wear and looks great on everyone. The pigments are very powerful, especially the contour. A little goes a long way! I have been eyeing this palette for weeks n finally decided to order it and boy am I glad I did!!! This palette is so versatile you can use it to do your eyes ?? au natural, you can use it for blush n then for a bronzer! I also love the smell of it, smells like ...... mmmm ..... n yes erone should buy this palette before it sells out, its that good that I use it everyday and I’m thinking ?? of getting myself another one or 2 for backups!! This palette is PIGMENTED like you wouldnt believe. It takes so very little product a little goes a very long way. It smells good and its very pigmented but the matte brown was very very hard to blend on my lighter skin. The harsh lines were very hard to get rid of. Other than that this palette is wonderful!! Omg!! The most amazing concealer I have ever used! Stays perfect all day and doesn’t move an inch. Found my new love. This colour palette is sooooo pigmented (like their eye shadows) and I found it so difficult to apply without getting too much on my brush and face. I then bought a Jane Iredale fan brush which picks up a fine line of product and have to brush it on ever so lightly so that it is not too bright and bold on me. The dark contour brown is so dark and when blended looks dirty on me. I think younger ladies would enjoy these colours for dressing up and going out but it is too bold for me. 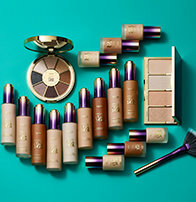 It is amazing how pigmented Tarte have made these colours but they are beautiful ( i wish I was younger). But I am so happy with the Tarte colour correcting palette that I bought and when I use the colours as recommended on the instructions this palette gives me the contouring that I need. It is also a cream (whereas the palette version III is a powder) which goes on my skin nicely and blends really well. I would definitely recommend this palette for people who like bold colours and prefer a prominent contoured made up face. The pigment is very good! The colors are beautiful and very pleasant smell?? Has amazing pigmentation and goes on the skin smoothly, feels really light on top of my foundation. I can’t wait to start using it on clients ?? Very convenient! Every color comes in handy i just love it! Thank you so much , its really Pigmented and smells good like a chocolate. I love it ! Using This contour on my face , fall in love ?????? This palette has all the right colors and is beautiful. There is a big mirror in the compact, which is great for touching up during the day. However, the formula is a bit dry and difficult to pick up on a brush. Or maybe I just got a dud? It takes many swipes of the brush to pick up any color and it isn't the easiest to blend. If the formula was a bit easier to work with, this would be a win. It just applies flawlesly and blends like a dream. The Contour Palette Version III has been my everyday go-to palette since I bought my first one about 9 months ago. I just bought my second one last week, so it has lasted me a long time. I love how the highlighters look and the blush is a great shade. The highlight has a really good shimmer. It isn't completely blinding, but it could be pretty bright if you layered it with less blending. I like the level of highlight and shimmer it provides. It catches the light well, but doesn't look too over the top, which means I can use it every day. The pigments are very soft and blendable. It doesn't take much pressure at all to pick the pigment up onto my makeup brush. I personally feel like the two lighter contour shades are so similar I can't really tell them apart on my skin. I really like the shade of the two lighter ones though. I don't normally use the darker contour shade. It's a pretty color but I am super pale, like the lightest foundation shades out there are almost too dark for me.. so it's to be expected that I don't need a super dark contour shade to get a nice contour. 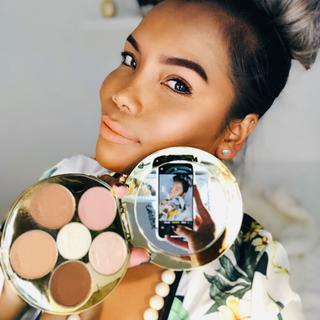 I have friends that have used this palette and are more towards the fair skin tone, rather than ivory like me, and they pull off the darker contour shade great. I use this palette as my only blush, contour and highlight source and I love it. The only complaint I have about this product what so ever is that I wish I could buy individual refills for the shades. I normally go through the blush and highlight before the contour, since a little goes a long way on my really pale skin, so I end up needing to buy a whole new pallet when I still have plenty of the contour left and just need a new blush or highlight. Overall this product has been great though. It also smells amazing, to me its kinda like a sweet edible smell, but not a floral smell at all. I haven't ever dropped the palette and wouldn't recommend testing that, but it has been transported around in my makeup bag a lot and been on vacation with me and I haven't had any issues with the pigments cracking. The packaging on the product is really nice. The shipping packaging is also great. I was concerned because I live in a dorm and the packages can go through a lot of impacts and aren't always handled with care, but I received all my products, including this palette without a crack or scratch. The box it shipped in was sturdy and it was wrapped up with tissue paper nicely. I was very pleased with the care taken to protect the product during shipping. 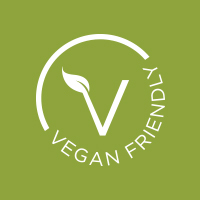 I would truly recommend giving this product a try. I really enjoy the things that work for my skin tone in this palette. Almost everything except for the blush work really well. I love having a palette like this so I can change my bronzer shade as my skin tone changes during winter & summer months. Never looks orange or dirty. I have very fair skin, and I thought this palette would be too dark. But it is amazing! I would highly encourage purchasing it, especially if you're new to contouring. Once you know what colors work best for your skin it's very fun to purchase everything separately and make your own palette. But, I have learned from this experience about darker colors being more versatile than I had expected for my skin shade and undertone! Blends well and looks terrific. Love its packaging as well! I love this palette. The darkest contour is way too dark for me to use right now (I'm very fair), but who knows, summer is coming. They all render really nicely on skin, highly pigmented and would probably look nice on a variety of skin tones. I really like the range. The highlights both have a bit of glitter in it. I don't mind that, but good to be aware of if that's not your thing. This contouring palette is far and away the best available to us! Besides the great smell, the cools are fantastic and work with a wide range of skin tones! I would highly recommend this pallet to everyone. I am obsessed with this palette. The quality and shimmer is unreal in each color. Only downside is it errs on the darker size. I am essentially unable to use the darkest contour color but everything else (blush, highlight, etc) is amazing and well worth it! Love this! It’s bigger than I was expecting but still fits in makeup bags and is super convenient when traveling or simply getting ready because everything thing you need is all in one place. I have fair skin so the contour shade took some getting used to with a light hand but overall is awesome! Would forsure buy again! Beautiful design! Bigger than I expected but not a problem fitting it into makeup storage or bags. Love it. Beautiful quality powders, great pigmentation, super convenient to have them all together in one palette. Very easy to contour with this palette. I've received today this treasure!! I've loved it since the first moment i've seen!!!! The colors are perfect! The texture is great! 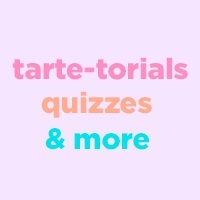 I'll buy "tarte" for many years! Love it! Super pigmented and blends easily. Plus it smells amazing! The bronzers make amazing eyeshadows for a fun but neutral look! Very nice contour palette. There is nothing else to say. Very good???? Love the shades! And there is so much pigments in this palette. Unfortunately I’m not happy with this palette. When I first opened it, one of the shades was oily around the edges which I found strange so I don’t want to use that. The blush and the darkest contour are OK, they don’t apply perfectly but I can work with them. But the highlighters are not finely milled and look grainy on the skin, I don’t like that effect at all. The whole palette also strongly smells like chocolate which personally puts me off. I like this item a lot. It’s all I use now and I wish I had bought it sooner. It smells nice and the quality is really good. Loveeeee this palette! Definitely one of my faces and everything is very pigmented! I use it everyday now! The highlights are stunning but the contour shades are deep. Need to be light handed or just use bronzer. Still my go to palette. A FOREVER STAPLE FOR YOUR MAKEUP ROUTINE!!!!! ?????? OMG OMG OMG!!!!!! DEFINITELY A MUST HAVE!!! This palette is the absolute best I have ever seen, used, and purchased over and over. It has your highlighters, contour, bronzers, and blush. Talk about striking GOLD!!!!! pigmentacion super linda tardo un mes en llegar pero valio la pena la espera, me encanta! Definitely recommend, such good strong pigments in this. would 10000% recommend this to absolutely everyone, things for all!! I absolutely love this product, a go to product for sure, pigmented and long lasting and looks INCRED!! what more could you want?? I liked the concept but it was a little too dark on me. 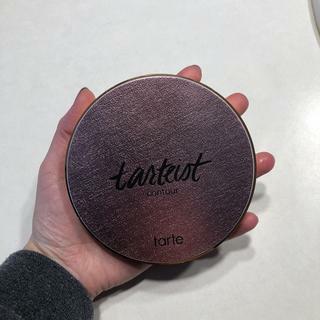 My first tarte product and I absolutely love it! 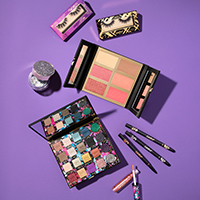 I wanted a palette that had the essentials all in one and this is perfect. All the colours are as expected and the formula is really good. My only concern when buying this was whether the matte contour would be too dark for my very fair complexion but I was pleasantly surprised to find that it blends out and creates a beautiful, natural looking shadow. Would recommend if your looking for a compact, all in one face palette. Absolutely love this palette! 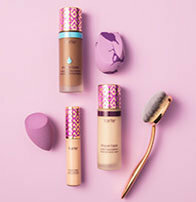 Love that I am not reaching for multiple items as this is all I need for my contouring in one product! Makes getting ready a breeze! Love Tartes fun packaging as well! La amo. Súper pigmentada de fácil trabajo. El rubor es súper bonito y los broncer también. El diseño es práctico. Love everything about my proglow contour palette but I need blush and bronzer as well. This has everything I need. And I trust tarte with my skin. Everything is in one place, good for easy everyday looks. Because i love it and want to give as a gift for my best friends! ive never tried a contour palette before. It's got many shades. And is very pigmented. Never owned a contour palette before and wanted to try something new! Who doesn’t need a quick contour!? One easy palette containing everything I need to contour. Love this. If you are creative you can also use this an eyeshadow palette. Basically everything in one little box. If you are busy working girl this is you everyday must have. I have deeper skin and felt like the darker shade would be good for contouring. 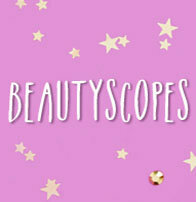 Heard and read amazing comments from beauty bloggers / Youtubers. You get everything in one palette, which is ideal. Do the bronze colors have a shimmer to them? BEST ANSWER: The bronzer shades 4 & 5 have a slight shimmer! Yes a slight shimmer in shades 4 & 5 just giving it the right amount of depth and ability to blend. It is not overpowering with shimmer and is good to wear for a daytime/work look. The 4 & 5 do, but the darker "contour" color is matte. 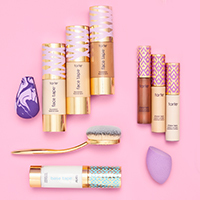 is the matte contour (matte contour) color sold separately or as an individual? I adore this color and it looks great on me, but I don't use the rest of the palette. BEST ANSWER: I absolutely back you up! I want the original version and would seriously buy 5 of them to last me a life time. PLEASE BRING IT BACK, even if its just for a limited time only! Is this contour shade perfect for light skin tone?? BEST ANSWER: This contour palette has a variety of bronzing & sculpting shades that work for a multitude of skin tones! I have a really pale complexion and as long as I put it on light and blend good it works well with my skin! I would say it can be done but use lightly with the dark colours. i have light skin and if i dont tap out the brush it shows up super dark. Yes, but you must blend well or it will not look right! Are they magnetic/can you remove them to it in another palette? Yes, my outer pans are removable, not sure about the center highlighter pan, I couldn't get that one out easily so I stopped trying after accidentally stabbing it twice. You COULD remove the pans, but would you want to? Probably not. 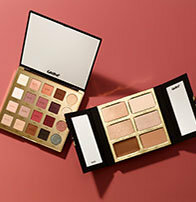 BEST ANSWER: This palette is all powders! Powder. But not at all gritty, dry, or chalky. The color goes on easily, blends out flawlessly over foundation set with setting powder, and the pigment is there. Product lasts a long time, as you only need to lightly touch the brush into the pan to get enough color. It is a powder, but from my experience I have found that it is very silky and not heavy or caked at all! how big are the pan sizes? BEST ANSWER: Each color's pan is around 3g/0.03oz in size! Picture the size of a Body Shop standard sized body butter (Not the mini size or extra big), just the normal typical round container that you can place on your palm even though it is still somewhat wider than your palm. It is somewhat similar to that size in terms of width. A good size! The actual palette is bigger than your palm roughly but the pan size are truly enough for use. My answer was for the size of the entire palette. 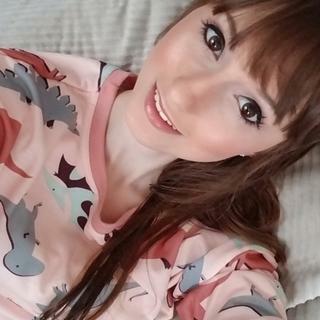 Hi can all shades of color use it? BEST ANSWER: I am quite a light olive tone but my best friend is quite dark and this palette works perfectly for both our skin types. replaceable pans? Do you make just replacement pans for this? I only use a few of the colors.